Join us this spring for the first-ever Sunday Afternoon Write-In located in Flourtown, PA! 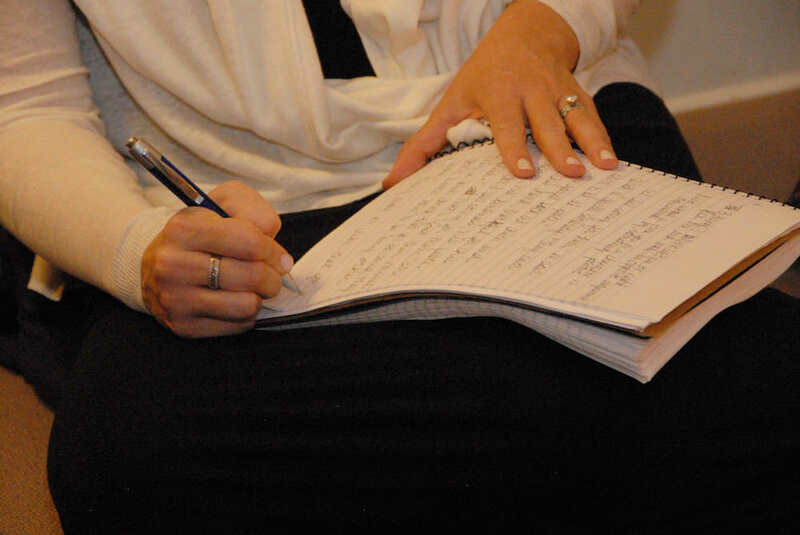 For new and experienced writers — this workshop lets you explore and strengthen your voice. During each session, we write together to discover stories or topics you want to write about and develop projects you’re already writing. Receive immediate positive feedback if you choose to read your work aloud. Each of the six afternoons consists entirely of writing, reading aloud (if you choose), and discussing your questions and concerns regarding all things writing. Rachel Kobin, the workshop facilitator, uses the Amherst Artists & Writers™ method to help you learn how to quiet your internal critic and tap into your strengths. Writing to optional prompts encourages experimentation with form, genre, voice, and all aspects of fiction, nonfiction, poetry, play and screenwriting. Each session is limited to 10 writers. A writing sample is not required (and will not be read). A deposit of $123.00 is required to enroll and can be made by clicking on the Registration button below. The deposit is refundable if you cancel by email by April 1. Once the workshop begins, the deposit is not refundable. If you are going to be away for one date and are hesitating to sign up because of that, please fill out the form to the right and tell me which date it is: I have substitutes who may be able to take your place for that evening and pay for that evening so that you don’t have to. Once you register, you will receive more details about the location and what to bring with you to the first day of the workshop. I’ve been leading these writing workshops for nearly 6 years now. Although I bring as much of my own energy as possible to making it a great opportunity for each person, it’s the experience of writing with a small group of writers that makes this workshop special. I am merely the facilitator of a certain kind of magic we conjure together. Think of a prompt as a spark — a phrase you can use to begin your writing, or a suggestion of something to think about as you write. It gets you started, and then you take it wherever it leads. After we write, everyone has the option to read what they just wrote out loud. The other writers and the facilitator respond by commenting on what stood out to them and what they found good and strong about the writing they just heard. In response to your fresh, unedited work, neither suggestions nor criticism is offered. In this way, you begin to turn off your inner critic as you write. Some can find the positive-comments-only structure frustrating. Research has found that by it is a natural process to slough off our weaknesses as we come to understand more clearly our strengths. However, during the Fall, Winter, and Spring sessions of the Tuesday Night Workshop, there is the opportunity to have polished work critiqued, and private editing is also available. Half way through the evening, we take a break for refreshments. The Second Half — Write, Write, Write! After the break, the remaining time is dedicated to getting more writing done, and to discussing topics writers face.These topics can be suggested by anyone in the workshop and may include anything from writer’s block to writing techniques.